How to deal with this problem without losing files in the partition? If you Google this problem, you’ll find many answers that suggest performing chkdsk or formatting, however, after which files will get lost. How to recover data when drive is not accessible? Step 1: Connect the storage device which is not accessible and reports “The parameter is incorrect” to computer. Then it can be recognized by your system. If your computer fails to detect it then try another USB port or PC. 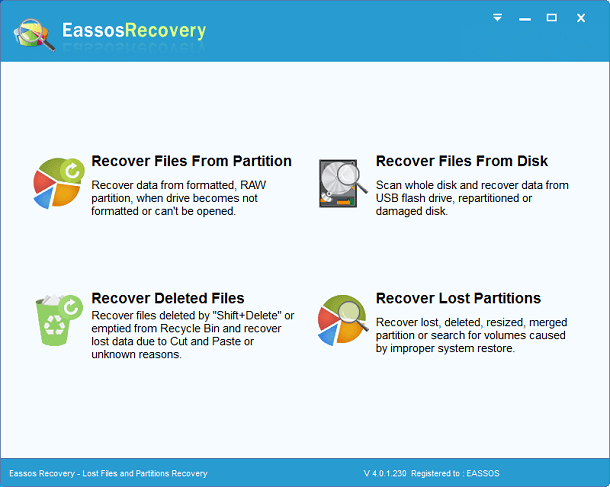 Step 2: Download, install and launch Eassos Recovery to PC. Select the first recovery mode and enter next interface. This feature is capable of restoring lost data from damaged, RAW or formatted partitions. Step 3: Select the icon representing the inaccessible partition and click “Next” to continue. 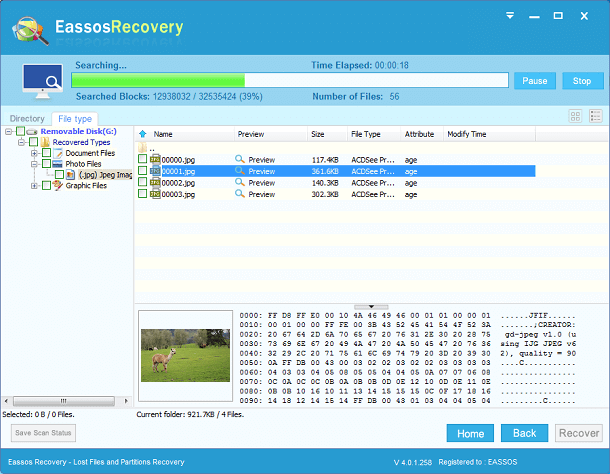 Step 4: Eassos Recovery checks partition information and searches for lost files and file directory. It displays files while scanning process is working and keeps updating scanning results as more files are found out. Step 5: Save files to a safe location such as any healthy partition that has enough disk space to hold these files and doesn’t need recovering data. This entry was posted in Data Recovery and tagged data recovery, drive is not accessible, parameter is incorrect, partition recovery by EASSOS. Bookmark the permalink.